Thirty Minute Thoughts: Day 79: What Are You Currently Reading? I thought I'd take a brief survey to find out what you're currently reading. What is it? Most people when asked this question think it has to be a book. I'm not discriminatory. If you read an article recently that you liked – share that. Was it a blog? Share that. If it's poetry, share that too. I am seriously curious about what you're reading and want to check out your stuff. I wanted to say that this is one of the downsides of not being on the FB – the fact that I can clickbait on what everybody is reading – but it honestly isn't. I still don't miss it overall, but I do miss certain things, like what you're reading so take some time to share with me in the comments section a link or a suggestion. For those of you that subscribe, it's just one additional step of clicking the link at the top of your e-mail. For those of you who don't subscribe – how about you do that by adding your e-mail in that little box to the right of the blog before sharing anything with me? :) The benefit to you is you get this goodness delivered to you daily when you roll right out of bed or for your morning commute. Back to it: What words on a screen or a page have you read in the past week? I'll share briefly what I've been reading. I have told a number of people that I'm reading this book and they've all said, "Oh yeah, I read that when I was in college" or "I read that at 22." I hate you. Why didn't you tell me about this book then? Oh yeah, we didn't know each other. I had heard the title before numerous times and didn't think much of it. Then I was perusing a blog where the author shared the three books that changed his life. I had read one of them, by none other than Dave Ramsey whose name you have become familiar with here, but not the other two. 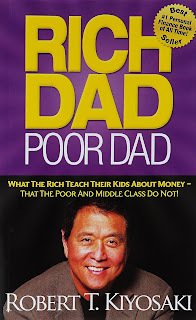 At the top of the list was Rich Dad, Poor Dad. I went to trusty ole Amazon and saw I could buy it for a whopping $5 and since I still had personal money left for the month, I decided to buy it. I'm not going to give the whole thing away, but the big idea is this: "The poor and middle class work for their money while the rich make their money work for them." This book is coming off the heels of me reading The Intelligent Investor, which began teaching me the same thing, but in many many many more words. 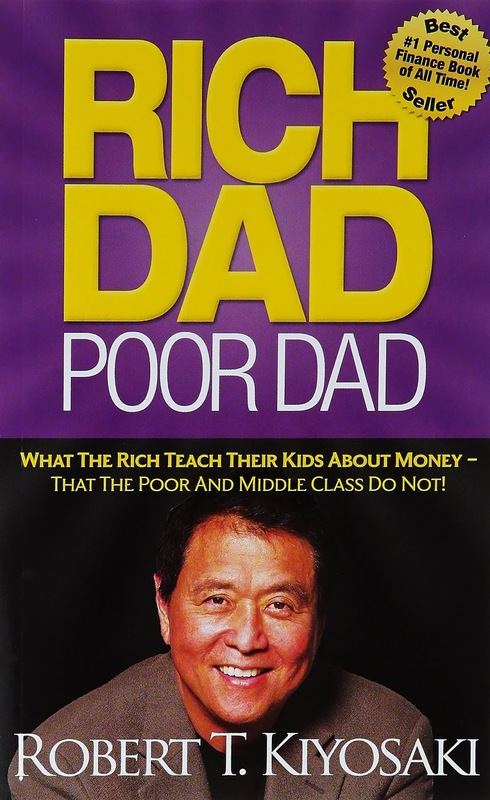 To be honest, The Intelligent Investor grounded me to take the motivational speakery-ness of Rich Dad, Poor Dad in a realistic way. Nevertheless, there are some very sound and profound concepts in this easy-to-read, compact little book that I believe will help us immensely down the line. I recommend it. 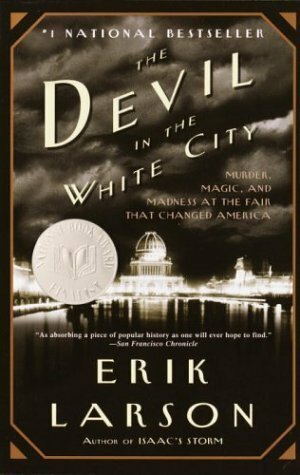 Set around the time of the groundbreaking 1893 Chicago World's Fair, this book is a wonderfully written story about two charismatic, magnetic men who impacted the city in extremely polarizing ways. One, Daniel Burnham, was the primary architect of the World's Fair after accomplishing amazing feats in architecture already, including designing the first ever skyscraper. His motto, which can be seen all over Chicago was "Make no small plans. They don't have the magic to stir men's blood." The other, Dr. H.H. Holmes, was an enigmatic figure who had a way with women. While nothing could ever be tied to him, stories about his life in other places included the mysterious disappearance of a number of people. By the end of the Fair, America had it's first documented mass murderer. All of this happened in Chicago over the span of roughly 2 years. The Devil in the White City tells the story not only of these two men, but this great city coming of age being rebuilt masterfully after the 1871 fire. While it might read like a fiction, in large part due to the very nature of the history itself, none of it is fiction. The author, Erik Larson, powerfully puts together the story in the most fascinating way possible. I've only read one of his other books, but it came nowhere close to stacking up to this one. If you like Chicago even in the least bit, check this one out if you haven't already.